Up until recently, the only way to stargaze was to visit an observatory or get a telescope yourself, both of which are relatively expensive solutions. However, nowadays, there are affordable models that everyone who has an interest in exploring the universe can afford. 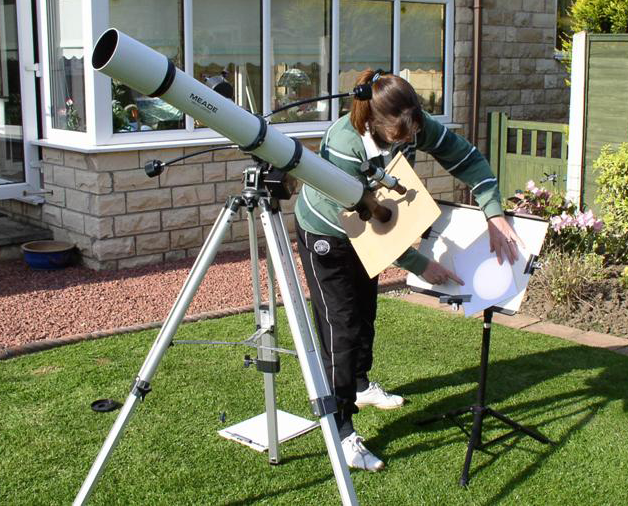 But with the availability of astronomical telescopes becoming so widespread, amateur astronomers are faced with the burden of choice. There are so many different types of telescopes that come with a variety of different features, making it hard for people to decide on the type of astronomical telescope to buy. But as is the case with almost everything else, there isn't a single astronomical telescope model that will fit everyone's needs. That being said, it's important to determine what matters to you, what you want to look at, how experienced you are, how much space you have for it, and how much money you want to spend. 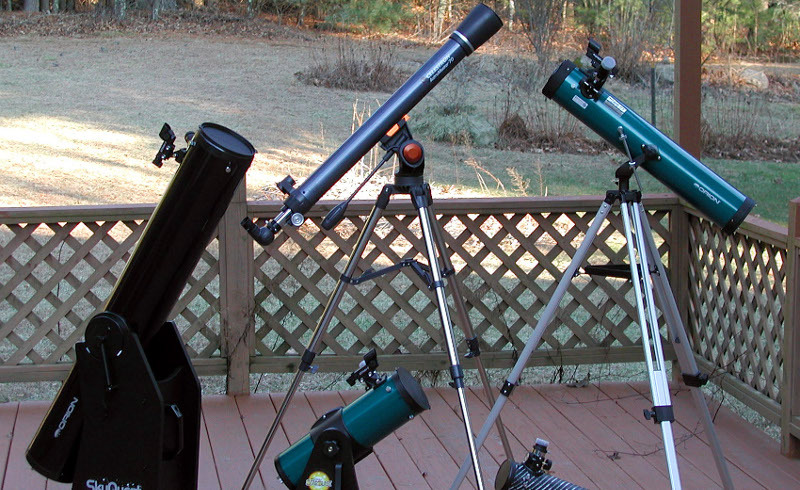 But before you consider any of that, you should understand the basics of how telescopes work. This is by far the most important aspect of any telescope. It represents the diameter of the main optical component, which depending on the type of telescope can be either a mirror or a lens. 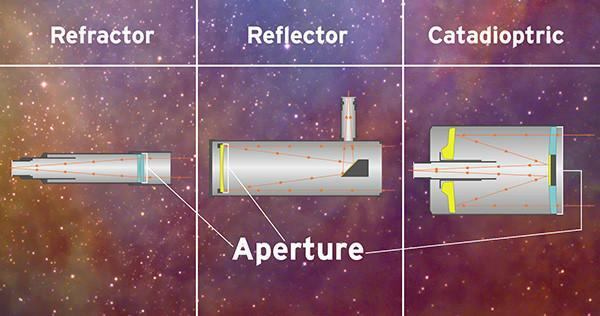 The aperture determines the telescope's light-gathering ability and its image sharpness (resolving power). The bigger the telescope's aperture – the better. For instance, a 150mm telescope will allow you to see craters on the moon that are as small as 1-2km. A 75mm telescope, on the other hand, will only allow you to see craters double the size of what the 6-inch models can see. It may come off as a surprise, but the aperture doesn't determine the magnification (power) of the telescope. Basically, you can magnify a telescope as much as you want (depending on the eyepiece it features). The aperture itself and the atmospheric conditions are what limit the view you get when looking through the telescope. However, that doesn't mean that the magnification should be ignored altogether. In fact, magnification is extremely important. In order to find the most useful magnification for the telescope, double the telescope's aperture diameter. The size of the aperture is typically co-related to the size of the telescope itself. Larger telescopes are typically used by people who want to gather more light in order to view dimmer objects like nebulae, galaxies and star clusters. However, larger telescopes have shorter exposure times. Additionally, the size can limit the telescope's portability, so if you go for a large one you'll likely need a permanent observatory, or you'll need help with transportation. Obviously, there's the trade-off between performance and convenience, and how “portable” the telescope is will vary from person to person. That being said, pay attention the telescope's weight when shopping.